Ball Hank n' Skein: Design Wars 5 - Just for fun! Design Wars 5 - Just for fun! Since early September I and 9 other wonderful crochet designers have been busily plotting our Design Wars 5 submissions. I can't believe how the time is flown! During this time I have gotten to know 9 wonderful people who have been kind, helpful and fun to work with. Now there are just 2 more days to vote for your favorite design. I can't believe it. Speaking of voting for your favorite design . 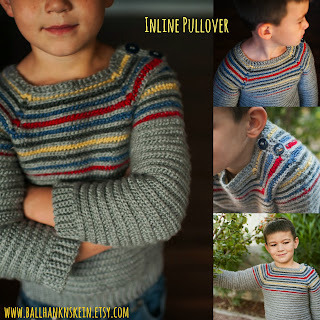 . . introducing the Inline Pullover! Super fast, super fun, top down seamless pattern with a corrugated stripe stitch that is worked with a very simple variation of hdc. 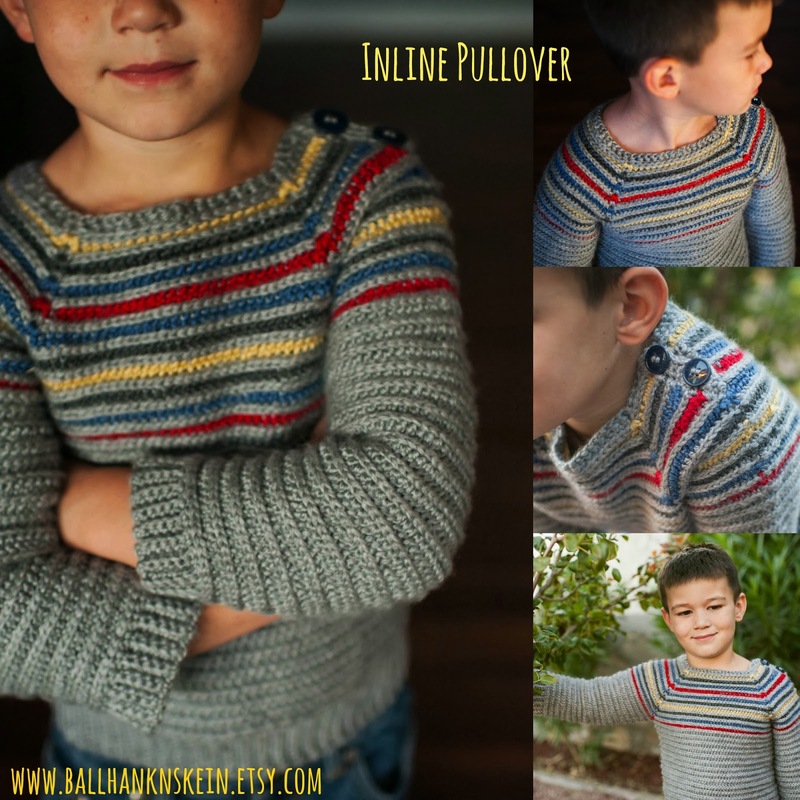 Pattern comes with 6 sizes from 12 months to size 10 for all the cool kids in your life. Pattern available on Etsy and on Rav. Do we love? Now don't forget to vote! What a pleasure getting to know you! You have some mad talent and I looove your design!